The Last Drop brand was created by two whisky industry veterans on a mission to seek out and bottle some of the rarest, most precious Scotch whisky lurking in Scotland’s warehouses. Since the brand’s first bottling in 2008, The Last Drop has offered a variety of rare whiskies from both existing and lost distilleries, at ages ranging from 48-50-years-old. The Last Drop Distillers bottles in the tens and hundreds with a price range in the thousands, retailing through selected partners worldwide. It does not restrict itself to Scotch whiskies, having released a Cognac in 2017, but for the time being, due to its impeccable credentials, most stocks have been sourced from Scotland. Each bottle in the range comes complete with a miniature containing the same liquid, allowing purchasers to taste the liquid without opening the full bottle. According to the company, some customers simply like to keep the miniature ‘as a souvenir’. Spirits industry veterans James Espey and Tom Jago founded Last Drop Distillers in 2008 with a view to bottling a series of rare, old Scotch whiskies and other spirits. The first release in 2008 was a vatting of Sherry cask-matured peated malt and grain carrying a 1960 vintage. The expression was followed by the brand’s first Cognac, a 1950 vintage from the Petite Champagne region, of which just 478 bottles were released. The Last Drop has since grown to provide its expressions to luxury spirits markets worldwide, and in 2012 created a partnership in China with Golden Glen Wine & Spirits Ltd. 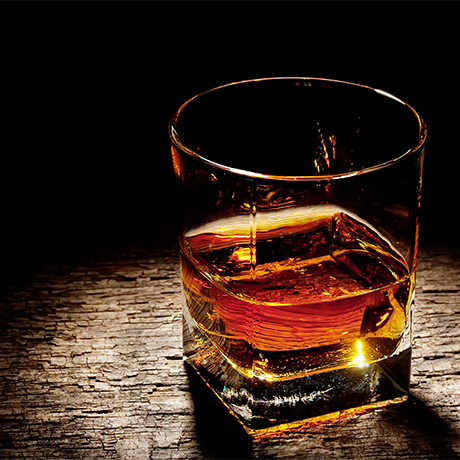 The company’s profile and commercial success eventually drew the interest of Sazerac Company Inc of New Orleans, owner of Buffalo Trace Bourbon, which acquired Last Drop Distillers in 2016. April 2015 The 48-year-old blend (release IV) is introduced with an outturn of 592 bottles and a price tag of £2,400. October 2015 Release V, a 1967 Glen Garioch single malt, is launched. Only 118 bottles are produced at £4,600 each. April 2016 A double-matured blend (release VI) launches with 898 bottles available at £3,000. November 2016 Release VII, a 1961 Dumbarton single grain, arrives on the market but only 32 bottles are produced. It is sold by invitation only.